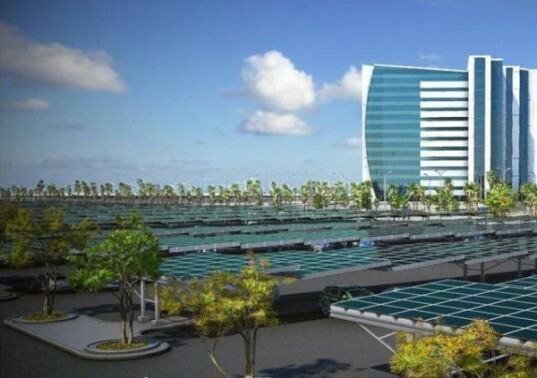 Saudi Arabia To Start Investing Heavily In Solar Power; Is This The End For Big Oil? Saudi Arabia is Investing Heavily in Solar Power; Is This the End for Big Oil? When the country with the largest oil reserves in the world decides to start investing in renewable energy, it may well be a sign that the age of big oil is coming to an end. While the US is still focused on fossil fuels – whether drilling, importing, or otherwise – the Kingdom of Saudi Arabia has realized that relying on a finite energy resource is not the smartest move, and it has begun to implement more solar systems into its electrical grid instead of older diesel generators. This trend is actually spreading all over the Midde East with companies like Israel’s Arava Power also aiming to reduce or eliminate the use of diesel generators in the city of Haifa. The company seeks not only to increase the amount of solar tech in Israel, but to also export the technology to other markets like South Africa. However back in Saudi Arabia, the need for solar energy is growing. According to SASIA, almost 25 percent of the Saudi grid is powered by diesel and the Kingdom spends over $1 billion on imported diesel. Not only that, but these generators are located in remote regions so added costs are incurred transporting fuel around the country. Here’s hoping it all comes to fruition. Its all about money, kuwait was thinking of nuclear power too, imagine how much more money they cab make if the sell the oil the use to generate power.. Solar farms will reduce the country's dependancy on diesel generators.